We provide high quality design and print for anything from business cards to large format exhibition material. 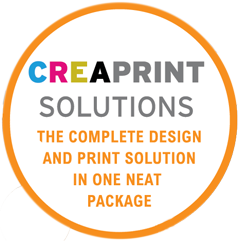 Our creaprint solutions service offers a complete design and print solution in one neat package. With three different packages to choose from we make the creation of your project simple, straightforward and perfectly printed.